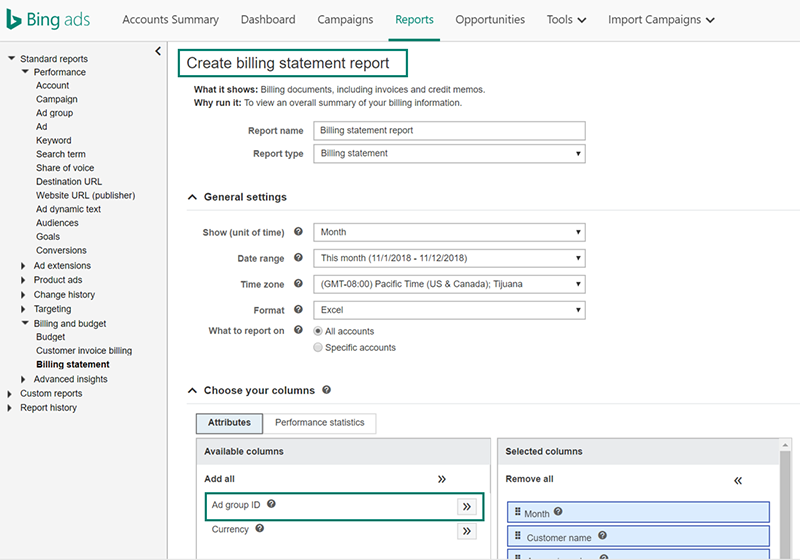 As part of our ongoing effort to optimize the accounts and billing experience for our advertisers, Bing Ads will remove the Ad group ID from the available columns of billing statement reports. We're making this change due to low usage of the column and to better align the reports with your billing statements and invoices. The change will take effect on December 3, 2018. After December 3, you will not be able to include the Ad group ID column in any new billing statement reports. If you created a scheduled billing statement report before December 3, the scheduled reports after the date will have the Ad group ID as empty. If you would like to remove the column from your scheduled reports, you’ll have to cancel the current scheduled report and create a new one. Ad group ID is being removed from the Choose your columns options when you create a billing statement report. We'll continue to deliver helpful improvements in the accounts and billing space to you. Be sure to check out other updates, such as how you can create and schedule recurring insertion orders and go green with new paperless billing options. These capabilities are a direct result of your feedback, which we receive through our UserVoice feature suggestion forum. See how your feedback has reshaped Bing Ads in the first half and second half of 2018. Thank you very much, and keep the feedback coming. For any questions or feedback regarding this feature update, we encourage you to reach out to your Bing Ads account manager. 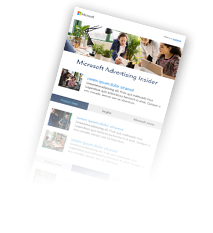 You can also ping us on Twitter, suggest a feature on the Bing Ads Feature Suggestion Forum, or send us an email with your thoughts to bingads-feedback@microsoft.com.